Continue the epic journey as it unfolds in Star Wars: The Last Jedi! The design of this Mini Cosplay Backpack is inspired by Rey's costume. 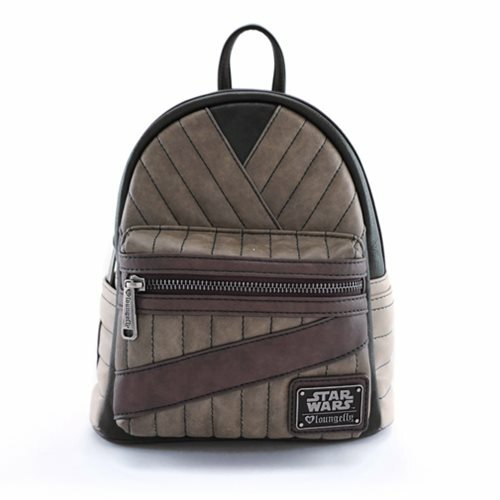 This Star Wars: The Last Jedi Rey Mini Cosplay Backpack is made of faux leather with applique and debossed detailing. It measures approximately 10 1/2-inches tall x 9-inches wide x 4 1/2-inches long. Ages 14 and up.